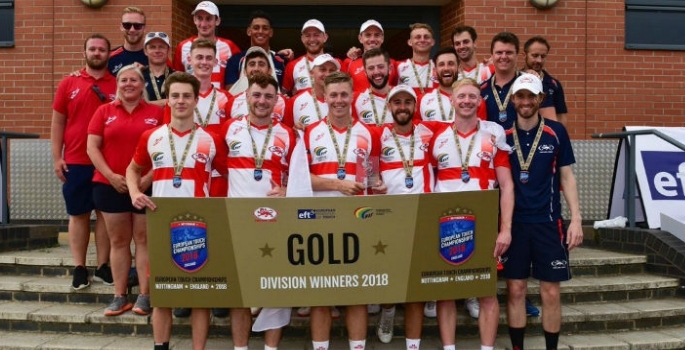 Joe Trickey, the school’s Head of Athletic Development, was part of the coaching staff for England Touch rugby’s successful tilt at the European Championships, which took place at the Highfields Sports Complex in Nottingham. Based mainly with the senior and masters squads, Trickey’s job was to create and distribute training programmes with the aim of preparing the athletes to perform with high intensity at the event. During the tournament he was based with the mixed open squad, supporting warm-ups and warm-downs before and after matches. In addition, Trickey led pool recovery sessions, conducted match fitness tests, and collected wellbeing and neuromuscular function data. The tournament was a huge success for the English squad, who picked up six golds, three silvers and one bronze medal, ensuring they were crowned European Champions. Trickey will now begin his new role in developing pupils and sports scholars at Rydal Penrhos, and will be back with the England set-up as they begin preparing for next year’s World Cup in Malaysia. Director of Sport, Allen Boyd, said: “This is a fantastic achievement from the England squad and Joe can be enormously proud of his contribution to their success.